Rockford Tabernacle Prayer & Praise Night Recap | Metro Youth Network | Connect. Experience. Grow. 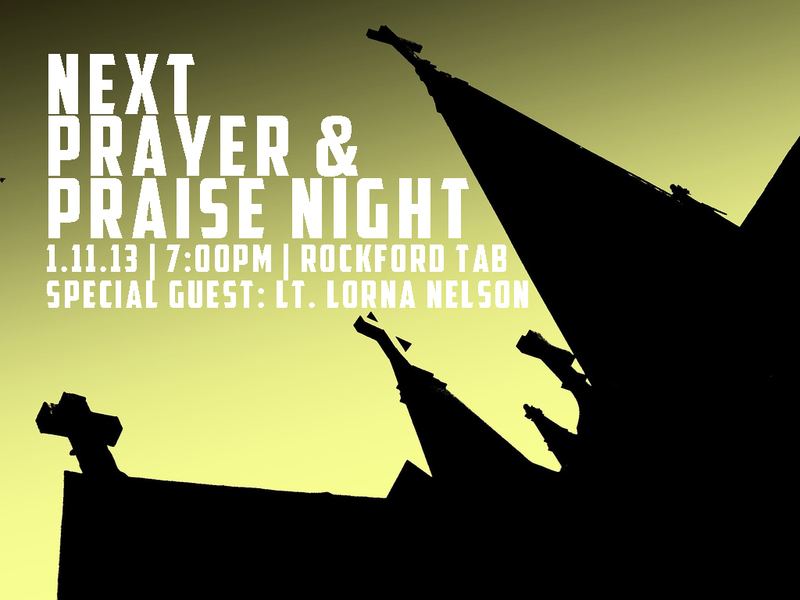 On Friday, on January 11, God did AMAZING things at the Rockford Tabernacle Prayer & Praise Night. Lt. Lorna Nelson shared a powerful word from Hebrews 10:23-25 about what the purpose of the Church is, and why you and I need it. What did God speak to you individually about? What things did he convict you of? What things did he encourage you in? Keep persevering in those things! As promised, we have a podcast for you of the message to download or listen to here right on this site. Also, I’m sure all of y’all would like to see the pics (courtesy of Tabatha Anderson). To do that, head over to our Flickr account, and enjoy!